Center for Sacred Studies challenges YOU to take the Rolling on the Floor Laughing Challenge to Spark Laughter that Uplifts the World! We are beyond thrilled to announce that we are one of the benefiting organizations in the Rolling on the Floor Laughing Challenge, the first ever global collaborative fundraising challenge. 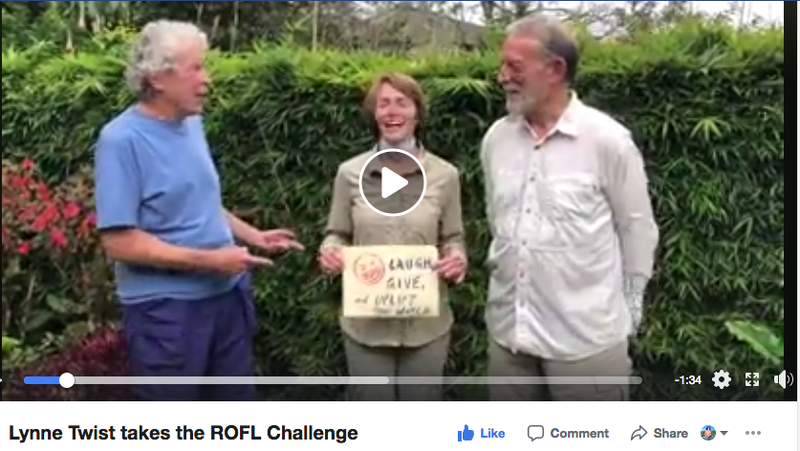 Here is a video Lynne Twist-Pachamama did for the ROFL challenge. See www.roflchallenge.org for example videos! 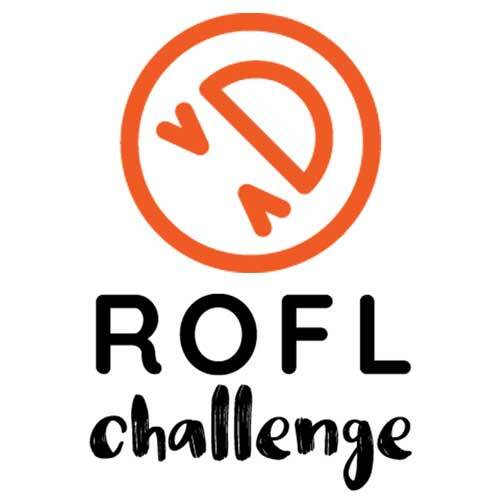 WE CHALLENGE YOU to take the ROFL Challenge – Spark Laughter that Uplifts the World. Step 1: Take the challenge! Tell a joke, play a (safe) prank, put on a skit — or just plain ANYTHING to get another person laughing. Step 2: Film it and post it with the hashtag #ROFLChallenge. Check out our ROFL Challenge Video Here! Help us make it more visible by Liking it, posting a Comment, or Sharing it on your own Facebook Newsfeed. or in USA text ROFL to 50155. 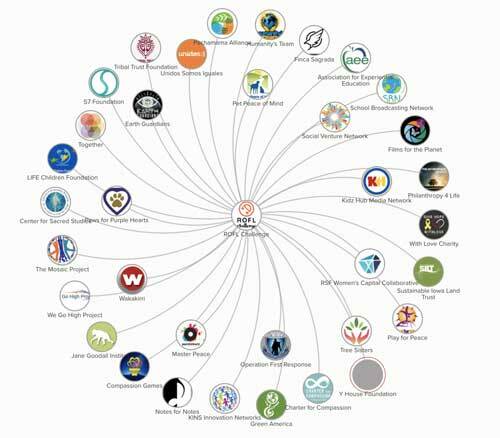 To learn more about how nonprofits can benefit from this campaign, please view the ROFL CONCEPT DESCRIPTION HERE and the SUBMISSION GUIDE HERE. This effort is being organized by the We Go High Project www.wegohighproject.org, a sponsored program of Green America www.greenamerica.org and the Compassion Games www.compassiongames.org. Make your own funny ROFL Challenge video, challenge 3 more people, businesses or organizations to do the same and donate to the #ROFLchallenge via www.roflchallenge.org or in USA text ROFL to 50155. Share the post "Rolling on the Floor Laughing Challenge to Spark Laughter that Uplifts the World!"